Steelers quarterback Ben Roethlisberger left practice early Tuesday afternoon after falling on his final pass of the opening team drill. 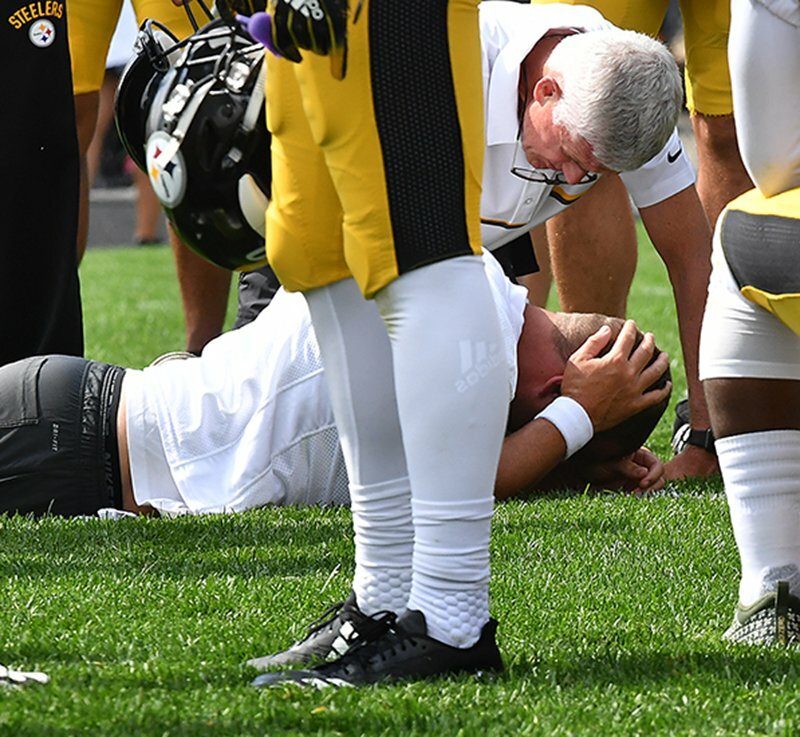 Roethlisberger’s injury and the extent of it were not immediately known. Last edited by franco>madden on Tue Aug 14, 2018 5:04 pm, edited 1 time in total. Lest we forget he totaled a New Yorker with his forehead. This means he might not be able to play against the Packers! It was reported that he wasn't going to play against the Packers well before practice even began today. I just really really really hope he didn't suffer a concussion.....because that's probably the one thing that will make him hang it up early. From the description in the linked article, it sounds like his teammates, at least, seem upbeat. Yeah, if he doesn't want to run the QB sneak, he should retire. Fortunately looks like he's been shamed, rightfully so, into putting that back in the playbook. Whoever hit him should plan on getting some sort of disciplinary action right? PPG made it sound like someone got blocked into him, or he collided with them, fell and hit his head on the turf. I think Pouncey said he thought maybe it was a case of whiplash. It would be unfortunate if he did get a concussion, as I don't believe he's had one (at least not officially) in many years. But hitting your head on the ground is something that does occasionally cause a concussion. I almost forgot how funny that argument was. Thanks for the memories, guys. seeing that refusing to run a sneak has likely cost the team a game or two, im happy for the shaming. I'm sure they are, Ice. He will be back. But it's never a good thing for the franchise to be in concussion protocol especially late in his career. I agree with Kodiak. It's the one thing I was concerned about early in Ben's career... after the motorcycle accident. Hopefully there won't be another incident anytime soon. Gilberto better take off those RollerBladez when the bullets start flying. It was a joke B2B. Sorry to make your negative Ben comment alert go off so late. I'm afraid we'll be seeing the pre-roids Gilbert....you know, the one that sucked. Touchy subject. Spend way too much time setting trolls straight on a daily basis.